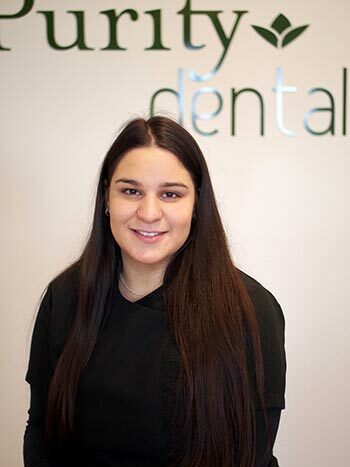 Emily is one of our amazing dental assistants who is cheerful and bubbly. Despite being new to the field she is very enthusiastic and willing to go leaps and bounds to make our patients feel comfortable at each visit. She enjoys meeting and getting to know everyone that walks through our doors. In her spare time, you will find Emily out exploring all the fun activities Melbourne has to offer or snuggling up with her dog and binge watching the latest shows on Netflix!